2017 is finally here and a new year also means new resolutions. It is easy to make resolutions, but it is equally as easy to break them. Here are 10 resolutions every project manager should make – and keep. It’s week 1 of the New Year and if you have made a resolution, you are most likely still motivated to maintain that resolution. If you have not managed to keep your resolutions, do not worry because by the end of the month many others will have also given up on most of their resolutions. In fact, only 8% of people achieve their resolutions successfully. 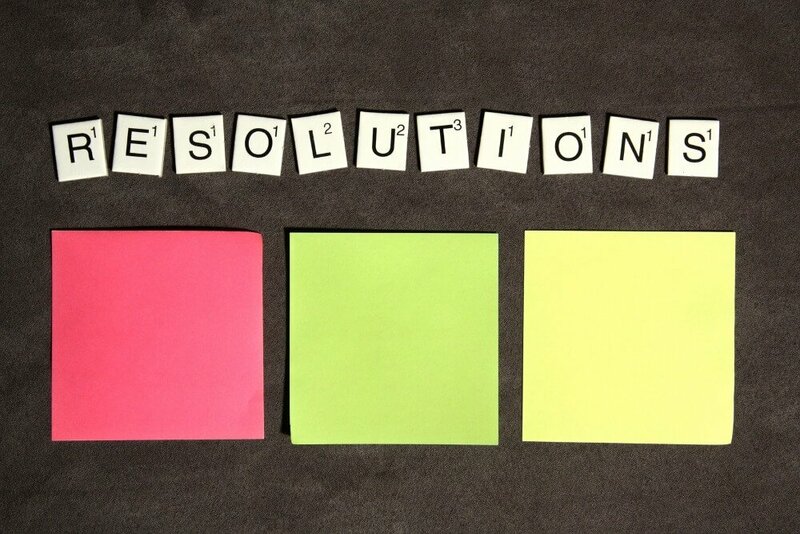 So, if most resolutions fail, why should you make resolutions? The answer is that people “who [are] committed to effecting change by making a resolution were 10 times more likely to succeed than [people] who were not yet ready to put plans into action” (Source). You’re obviously going to spend a lot of time with your team when working on projects. While it’s important to reach milestones and complete a project as quickly as possible, also make time to listen to your team and their concerns and wishes regarding the project. This will empower and motivate them to do even better work. Make a resolution to spend less time on the 80% of tasks that only add 20% of value to your project. Focus on the important 20% of tasks that will add 80% of the value instead. Delegate tasks that might be urgent but not that important, this will allow you to concentrate on the important ones. Most resolutions are about improving something, but instead of striving to reach perfection you should strive for continuous improvement instead. You can improve even the most efficient processes. New methods and standards can emerge and change the game at any time, so a process that works today might not be as efficient tomorrow. Try to find better ways to communicate with your team and stakeholders this year. Better communication means less misunderstandings and more successful projects. Take stock of how you currently communicate and whether your current communication methods are effective or not. There are many different leadership styles, such as the servant leader or the authoritative leader. Take time this year to find the right leadership style(s) for you and work on improving your leadership skills. Have you achieved all of your project goals last year? If the answer is “no” then you probably set goals that are either too unrealistic or aren’t specific enough. A great way to formulate better objectives is to use the SMART method: Your goal should be Specific, Measurable, Attractive, Realistic and Time-Related. “You can do it if you really want to” is a great motto, but sometimes you have to accept that you have to cancel a project. This does not make you a failure, it makes you a pragmatist. There are many reasons why you should let a project die, what is more important is that you learn from the mistakes and avoid making them again. Project documentation is important, but often gets neglected. Proper documentation is not just important to avoid confusion and misunderstandings, it is also important for future projects because it allows you to extract lessons learned from previous projects. Getting a project management certification is not just a great way to prove your expertise in leading and managing projects, it also pays off – literally: The PMI’s salary survey found out that certified project managers earn on average 20% more than non-certified ones. Consider changing your project management methodology. If you’re currently planning projects the ‘traditional way’, why not try the agile approach for a change? Agile might not be right for every project or situation, but it can give you and your team more flexibility. If you’re not ready to go completely agile, consider a hybrid approach. 10 New Year’s Resolutions Every Project Manager Should Make – and Keep - InLoox • Copyright 1999-2019 © InLoox, Inc. All rights reserved.